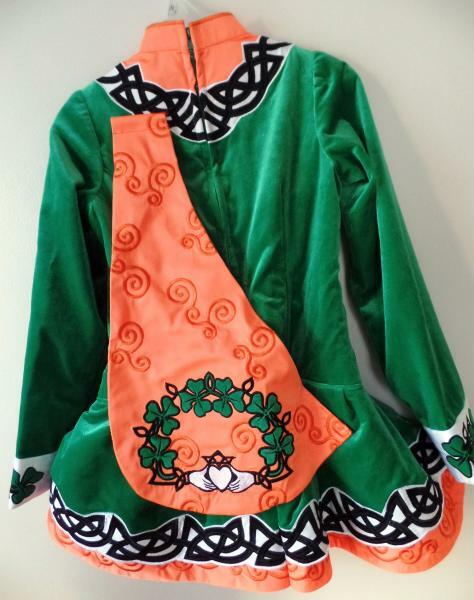 dance.net - Brand New, Never Worn, Modern-Traditional Dress w/o Bling (10245027) - Read article: Ballet, Jazz, Modern, Hip Hop, Tap, Irish, Disco, Twirling, Cheer: Photos, Chat, Games, Jobs, Events! 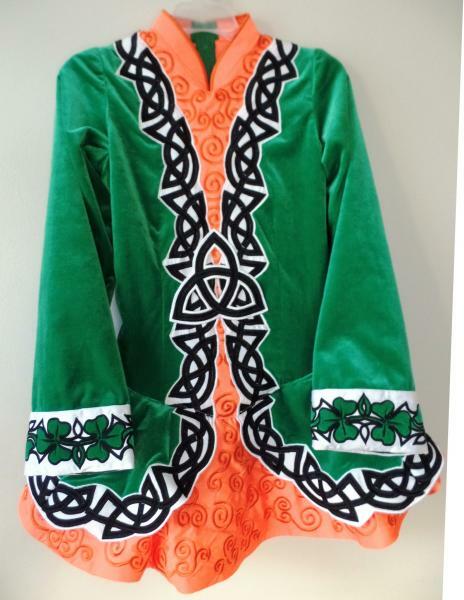 This new dress needs a home with an enthusiastic dancer who wants to be noticed on stage. The design is a perfect blend of traditional and modern motifs. 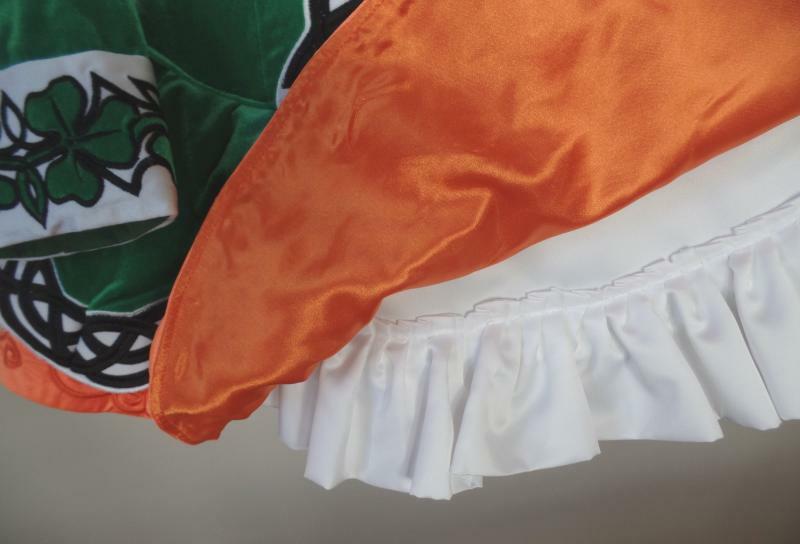 Made from kelly green stretch velvet and bright orange milliskin spandex, it features green underskirt with white satin ruffle. 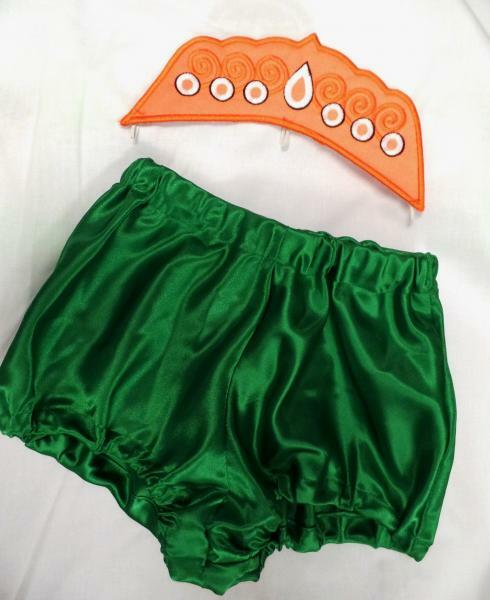 Your purchase includes an embellished shawl, green satin bloomers and orange fabric embroidered headpiece. Fully lined with generous seam allowances it will be comfortable to wear and can be altered. Minor alterations are free. This dress comes without crystals. Crystals can be added for additional cost. Contact me for a cost with crystals. This is a photo of the knickers and crown.